How many visitors would your website have if those visitors had to remember a string of numbers to access it? Your domain name provides potential customers and readers with a human-friendly address to enter into their browser and easily remember your company’s location on the Internet. Purchasing a .ca domain name, buying a .com domain name or any other domain extension might seem daunting if you’re an Internet novice, but it’s not that difficult. Before you can buy your domain name, you have to brainstorm name ideas. Your domain could include your own name, your brand name or your company name. It might also include your location or industry specific terms. However, it’s best to come up with a few ideas in the event that your domain name is taken. When you head to your domain name registrar or hosting company, you’ll perform a search for your name to see if it’s available. The process is similar regardless of the registrar – i.e. 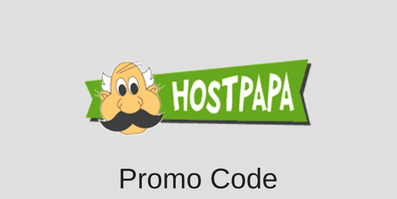 GoDaddy, Namecheap or Register – or web host – i.e. WHC.ca, MyHosting, GreenGeeks etc. If your preferred name isn’t available, you can consider a different extension. .com, .ca, .net and .org are common, but you might opt for a location-specific extension, also known as a TLD, to attract local consumers. You’ll also need to host your site on a specific server in addition to buying your domain. Most hosting companies allow you to register a domain name through them as well. The decision on whether to have your domain name registered and hosted by the same companies or different ones comes down to your personal preference. Let’s look at the pros and cons for each. The main benefit of keeping registration and hosting together with one company is the fact that you’ll only be dealing with one company. Any changes you’ll have to make will be in one place, rather than two. A second benefit is that the web host will likely offer you a package deal to do both, often giving you a domain name for free. The overall price becomes really attractive. This is what WHC.ca and HostPapa.ca does to give you two recommended examples. One possible disadvantage is that if you ever have a fallout with this one company, they control both your hosting and your domain name. That said, if you should a reputed web host, it should not be an issue. If you prefer buying a domain name at a reasonable price through one company, while hosting it elsewhere, don’t hesitate to go for it. One advantage is that you can choose companies that you feel are the best for each service. It’s actually the option we prefer and recommend in our blog creation guide. The only downsides to this strategy are the potential higher cost and the issue of dealing with two companies. But the rates for registration and hosting are so low that the difference is usually only a few dollars. The best approach for most of you will be to determine who you want to host your site. Once you make that decision you can compare their costs of purchasing and registering your domain name with them compared to the prices of other vendors, and then make a decision from there. This entry was posted in Articles, GoDaddy on September 25, 2013 by Jared C. Brown.